All across the globe, there are literally millions of people nursing a headache or migraine as we speak. Some of these daily dome pains could be caused by fatigue, stress, constipation, low blood sugar, allergies, hormones, alcohol, drugs or a nasty combination of all the above. Short of taking medication to treat underlying ailments, I don’t advocate for poisons in the form of pharmaceutical painkillers – so you can forget all about OTC pain meds. As a healthier, more natural alternative, did you know that scents could be your best friend during a migraine attack? They could also be your worst nightmare. Think about it; toxic smells like cigarette smoke, gasoline, or overused perfume may not only give you a headache, but they could also make you feel nauseous. Pleasant scents on the other hand have the power to relax both mind and body as well as alleviate all sorts of aches. 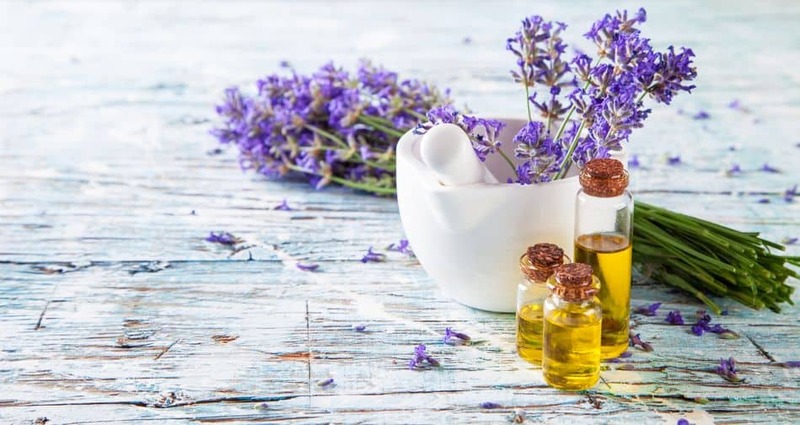 Research has already proven that essential oils have medicinal components that can be exploited by both topical application as well as via aromatherapy. 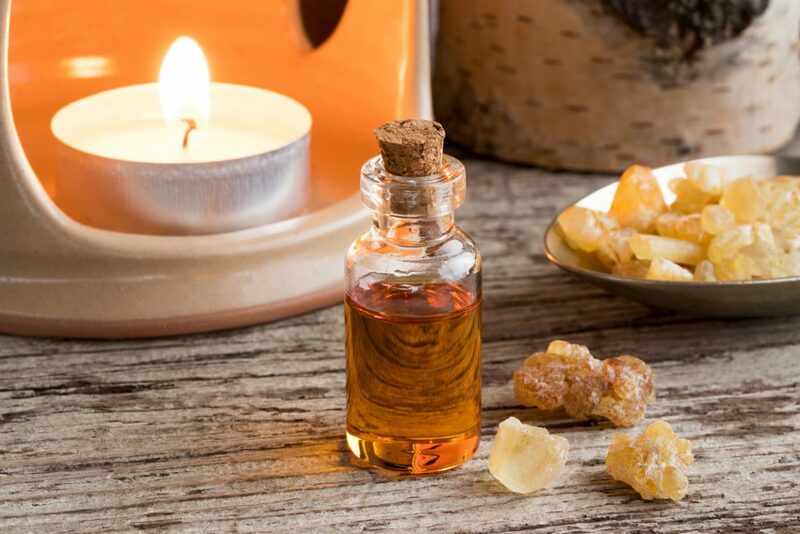 Unlike pain killers that come with a host of side effects, essential oils serve as a safer and more effective way to provide pain relief, reduce stress, aid in blood circulation, and give your immune system a much need boost – all without wreaking havoc on your internal organs. Essential Oils are volatile and highly concentrated liquids that are extracted from several different types of plants and trees. They should be combined with a base / carrier oil or lotion before applying on the skin. You may use any vegetable or nut oil, unscented lotion or cream as a base. The general rule of thumb I follow when combining essential oils with a base / carrier oil for massage and baths is 2-3% essential oil for adults. When I am down with severe headache, I often increase the concentration of essential oils up to 5 percent. Do not use on pregnant ladies, babies or elderly people without professional medical advice. In 1 oz. (30 ml) of carrier oil, add 12 drops of essential oil for 2% dilution and 18 drops for a 3% dilution. 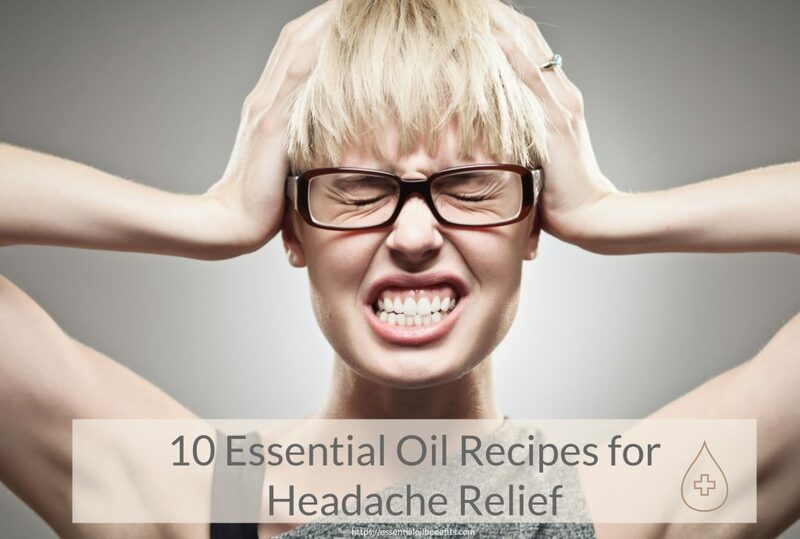 Below is a list of some of my best essential oil recipes for headache relief that ought to help you. When it comes to tension headaches, very few options are as effective or as natural as peppermint essential oil. Peppermint is a hybrid or mixed species of regular old spearmint and another type of plant known as the water mint. To extract the oil, experts use either cold extraction or CO2 on the upper parts where the plant flowers. Peppermint has so many uses with evidence dating back all the way to 1000BC. Today, peppermint oil is among the most versatile oils out there. 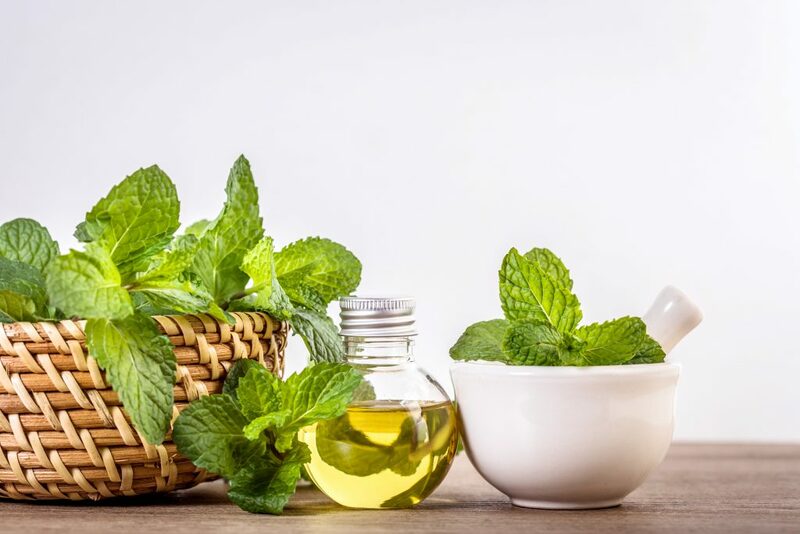 Capable of being ingested, used topically or inhaled, peppermint can address numerous health concerns including allergies, digestive issues, low energy, and yes, headaches. So, what makes peppermint the absolute best oil for dealing with migraines? Research shows that it contains menthol and other valuable compounds that grant it potent analgesic abilities. This allows it to work as a natural, effective pain killer for headaches, muscle cramps and joint pain. What’s more, the menthol adds a cooling effect that calms a throbbing head and invigorates it promoting blood circulation and faster healing. For headaches caused by allergies and colds, peppermint can also help in an unexpected way. See, if you can clear the cause of your allergies or congestion, then the headaches and migraines should end all on their own. Lab studies done recently reinforce the fact that peppermint has antimicrobial, antiviral, antioxidant and expectorant properties. So, not only does it help unclog your sinuses and clear up the airways, it also helps fight off respiratory infections that could cause colds, coughs, asthma, bronchitis, pneumonia and other ailments that all come with never-ending headaches. 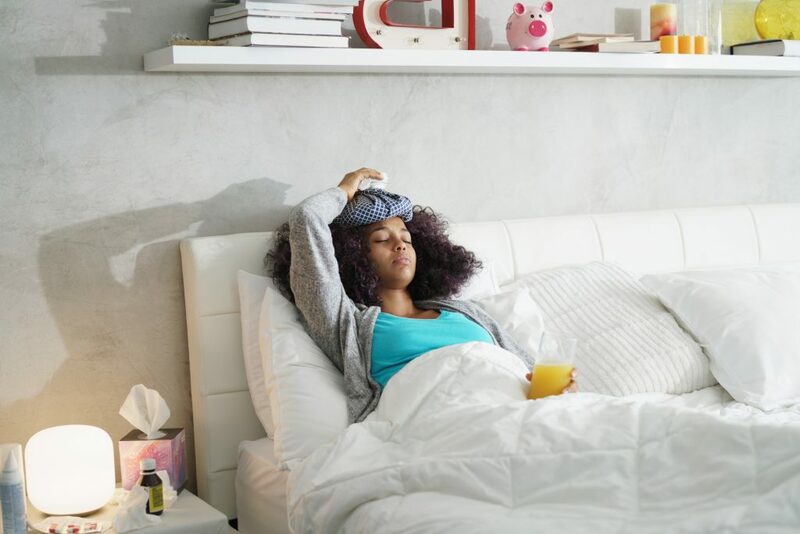 But perhaps the most overlooked benefit of peppermint that could help treat headaches once and for all is the ability to boost your energy levels and immune system as well. See, majority of migraines are actually caused by physical and mental fatigue. After an entire day of working both your mind and body, it’s not too uncommon to go home with a painful hammering in your head. Extensive research was carried out by a medical journal where college male students’ physiological parameters and performance was tested. Those who had a dose of oral peppermint essential oil showed substantially improved strength, endurance and peak air exchange rates. This means that peppermint could help boost your energy and alertness levels to help avoid fatigue and related headaches. Here’s a quick peppermint recipe that ought to clear migraines fast. I bet you’re wondering why on earth we used ethanol here. Well, research shows that ethanol has a unique ability to reduce sensitivity. So when you mix it with peppermint and eucalyptus, you get an extremely effective migraine remedy that reduces pain, relieves tension, and improves blood circulation where applied. To make use of this recipe, start by combining the essential oils and then stirring in the ethanol. Add the coconut oil and mix well. The resulting blend should be used topically on your temples, back of the neck, shoulders and forehead by way of a massage. If you suffer from the occasional headache, you already know how disruptive they can be. Now imagine suffering from chronic migraines and dome pains that hit you hard almost every single day. Needless to say, these aches can ruin a good day and put you out of commission for a while. Unfortunately for you, headaches are no longer an acceptable excuse to skip your responsibilities; they are now the jerks of today’s hectic lifestyle. The good news is that I’ve got a permanent fix for daily headaches that simply refuse to go away. Relax, it’s not a lifetime dose of ibuprofen and aspirin – it’s something much simpler, all natural, and that you can carry everywhere. As you can see, I’ve got quite the list of essential oils for this one. That’s because we want to address various aspects and causes surrounding headaches – from stress and fatigue all the way to respiratory distress and allergies. What’s more, we’ll be using a glass roller bottle to carry the blend around; so it wouldn’t make sense to cook up a small one-time batch, am I right? To make use of this recipe, start by blending the EOs together in the roller bottle. Now, pay close attention here because this is very important. You can either use carrier oil as the next step or opt for alcohol. I chose high proof vodka because it evaporates way faster than any carrier oil. But if you don’t have any vodka, then perfumery alcohol or even regular old grapeseed carrier oil will work just fine. Top off the glass jar with your choice and shake well before use. Roll the blend on your temples, back on neck, forehead, shoulders, and even chest whenever you feel a headache coming on. Short of incurable diseases, few things are probably worse than having to live with migraines most of your life. As dismal as they may seem, migraines have become the third most prevalent condition on the planet. Did you know that in the US alone, almost 40 million people suffer from regular migraines? 91% of that number has to miss work or reduce performance during the attacks leading to millions of man hours lost just like that. Fortunately, I’ve got a high impact migraine nuclear cold bomb that ought to help millions of people save both their heads and their jobs from unnecessary aches. Ice? You’ve got a migraine, I’m sure the last thing you want to do is get a cold as well. But hear me out guys. Ice works in three different ways to treat migraines. First off, it constricts the blood vessels to reduce blood flow and ease pain as a result. Secondly, ice is a natural analgesic that inhibits your ability to feel pain. As such, it slows down the pain impulses moving along the nerves. And lastly, cold temperatures have an effect on the endocrine system by slowing metabolic activity. Combined with essential oils, this truly is the ultimate cold bomb to eliminate migraines. To make use of this recipe, put your ice cubes into the bowl of cold water and drip on the oils as indicated above. Don’t worry if the oils float on the water – just dip your wash cloth in the mixture and wring it halfway. Being careful not to get any in your eyes…simply place the cold cloth over your forehead for a few minutes. Dip, wring, and then apply it on the sides of your neck as well. Reapply until the migraine goes away which is usually very quick – just like a bomb. We’ve all heard of the ancient Chinese practice known as reflexology. This is an alternative form of medicine that involves applying pressure to the feet and hands using specific techniques. It is believed that the feet have reflex areas that correspond with each and every body part and organ in your body. Most experts agree that by manipulating these zones in the feet, you can get relief from certain pains and aches as well as improve your overall health and wellbeing. Reflexologists claim that there’s a blockage in the flow of an invisible energy field known as QI which is also the same argument for acupuncture. To make this foot rub, start by mixing the ingredients in a small bowl. Depending on how deep or strong you want the massage to be, you can always use less carrier oil or more essential oils to make the blend a bit stronger. Mix everything up and then get ready for a thorough foot massage. If you can get someone to help your out, that would be better. For migraines and headaches, the reflexology zone that correlates with the face and head are somewhere on and around the big toe. This zone corresponds to the entire face all the way from the top of your head, forehead, and neck. Use your thumbs to rub the blend in for a few minutes – the headaches should ease off gradually. As I mentioned earlier at the beginning of the article, scents and smells can make all the difference. You could be taking the bus to work only to get a nasty headache from smelling all the exhaust and gasoline in the city. Fortunately, the same applies for pleasant smells. Good smells can be used to not only calm and relax yourself after a hard day, but also offer relief for headaches even when on the job. Below, I’ve cooked up the ideal aromatherapy recipe for migraines and headaches. The best diffuser to use in this case is a cold air diffuser. However, any model will do just fine. Start by adding in the essential oils to your diffuser and let her run for all-night migraine relief. However, this is also one of the most effective remedies that you could also use while at work. Simply bust out your diffuser, pop in the essential oils and let the sweet aroma wash away any fatigue and headaches that might be bugging you. Apart from just the smell, the essential oils also pack quite a punch thanks to all their different medicinal values. Lavender may be the sweetest smelling oil, but it also has some curative properties such as inducing relaxation and relieving stress. 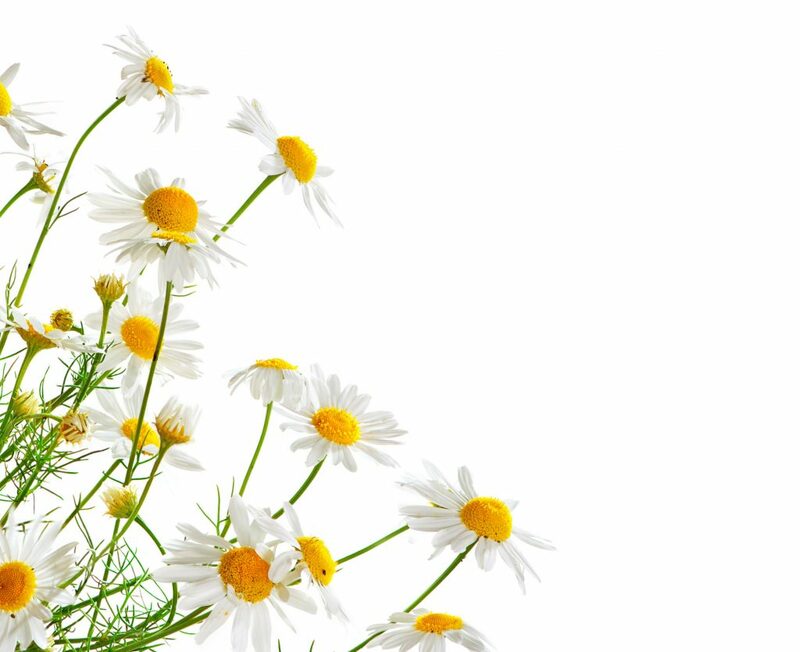 Some of the other oils also contain antidepressant, sedative, and anticonvulsant agents. Oils like ginger also help cut down nausea if you work in factories or workshops with all sorts of foul, industrial smells. If you’ve ever had a migraine, there’s no mistaking the symptoms. For most people, there’s a preceding intense pain in the brain followed by visual disturbances – like the light being dimmed. Others have even claimed to see some jagged lines or an aura as if they’re going to pass out. As soon as the migraine takes hold, there’s usually a lot more pain followed by intense throbbing, nausea, blurry vision as well as sensitivity to both light and sound. Truth be told, most people would do anything to avert the symptoms of a migraine. Fortunately, there’s a quick recipe that ought to treat migraines quick. This roller ball recipe will come in handy for use right before your migraine sets in. Start off by mixing the essential oils in a roll-on bottle and shake well. Make sure there’s enough room to top up with sweet almond carrier oil. Apply to the temples, forehead, back of the neck and shoulders. The great thing about this blend is that you can carry it around and use it right before the migraine takes a hold of you. I’ve used plenty of carrier oil because this blend is intended for direct application and daily use. There are many different types of headaches. However, the most common type has to be tension headaches. They can feel like a nagging, constant pressure all around your head; especially around the back near the neck. If you’re suffering from regular, tension headaches, here’s a recipe that can help you get relief once and for all. For this blend, you’ll need to melt the beeswax before adding in your essential oils. Once the mixture cools off, store it in a glass container and use it as a temple and neck rub whenever you feel a headache coming on. When you have a respiratory infection that causes your sinuses to be inflamed, you get very specific migraines known as sinus headaches. If you have sinusitis, then I’ve got a very effective blend that will help clear the problem from the root. This is a real easy DIY inhaler that will not only help you clear your headache, but also open up your airways in case you are congested as well. Once the mucus is cleared and you can breathe easier, the sinus headaches tend to go away on their own. Use the following blend(s) for massaging the temples and back of the neck. You use these palm blends during the bath, or after a shower. Pour a total of 5 drops of the essential oil combo below in your palm and add 1 tablespoon of carrier oil. Use lavender-peppermint mist as often as you want on your head, face, and closely mist the back of your neck at the hairline. Mist your pillow too. Carry around a little bottle each of pure lavender and peppermint essential oils. Use these as inhalers, and take 5-7 deep breaths as needed. Make a palm blend with 5 drops of essential oil diluted in 1 tablespoon carrier oil. Apply to nose, temples, back of neck, and possibly belly. 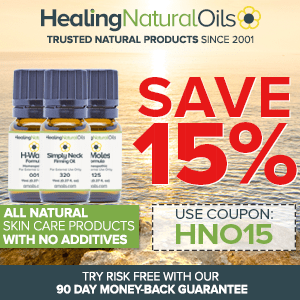 Can Essential Oils Cause Headaches? Essential oils have become a very popular, natural alternative for all types of medications. Not only have they been proven as effective since early civilizations, but they’ve evolved and grown more powerful over the years thanks to efficient extraction methods. But even with all their medicinal values and endless list of benefits, there still remain a few concerns surrounding these incredibly concentrated extracts. Let’s start with the most obvious concerns and precautions that you should take when using essential oils. Firstly, many users are not aware of the potential risks of using these potent substances. These oils are incredibly concentrated and require dilution to make sure they do not burn or irritate your skin. Secondly, pregnant women and small babies are advised not to use most of these essential oils unless advised by your doctor. But perhaps the most important question that is relevant to today’s topic is – can essential oils cause headaches? Well, we’re trying to treat migraines and get rid of headaches here; it wouldn’t make much sense for us to recommend something that would make the headache worse. The main element that could be triggering headaches is the smell factor. We already covered the fact that different scents can affect people in different ways. The truth is that anything super fragrant or aromatic can affect you in many ways, including causing headaches. Similarly, not all people perceive good smells as pleasant – one person could be in love with the smell of lavender while another gets nauseated by it. 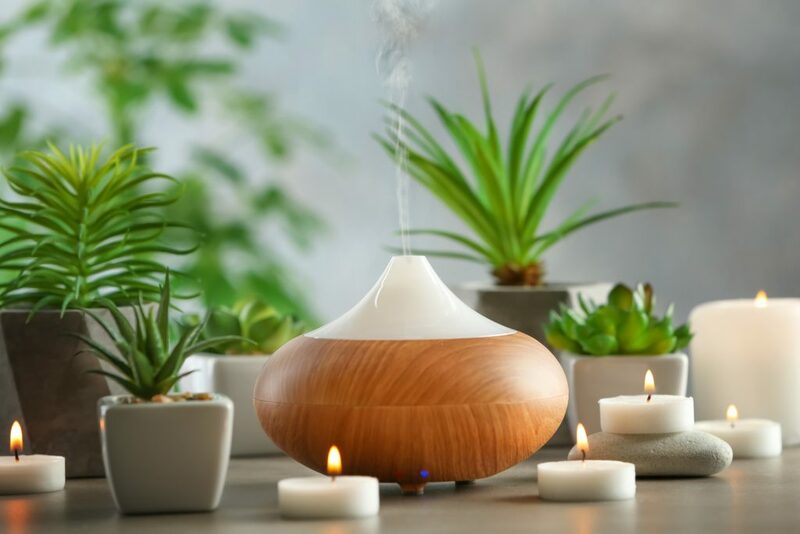 It’s all about finding the oils and fragrances that agree with you and diffusing in a room that is well ventilated to avoid headaches and other respiratory issues. Essential Oils are highly volatile and concentrated liquids. They do not mix with water. They are lipid (fat) soluble, which makes them excellent for mixing in bases of oils, creams, and lotions for safe skin applications. With the exception of spot work, like 1 drop of lavender oil used on a cut, they are not meant to be used straight on the skin in their undiluted form. Many of the essential oils can cause irritations to the skin, especially mint, citrus, and spice oils when used undiluted. Once they are on the body, they are literally in our system – since they are lipid soluble, the attraction to the sebum in our skin takes them directly into the blood stream. Essential Oils are not for internal use without professional medical advice. They can burn the internal tissue of the mouth, throat, and body. Children, pregnant mothers, and people with sensitive skin should use lower dilution for massage blends. Consult a professional for further advice. Keep essential oils away from children, pets, and open flames. They can often be poisonous; the right dosage differentiates a poison from a remedy. A natural alternative for all types of headaches, including migraines, cluster, tension and sinus headaches is H-Headaches from AMOILS. You can read more about it here. Please refer to this article which specifically discusses essential oils and recipes to deal with diabetes. Please use one of the essential oil recipes for your migraine. Thank you for your notes on headaches. Do you know what essential oils to use for grinding of teeth in the night? I was told to use Lavender. Indeed, Lavender Oil is a good one; mix 4 or 5 drops of Lavender Oil in a teaspoon of Olive Oil and massage gently into your jaw and neck area (close to the jaw). Valerian root oil – same instructions as Lavender Oil.